Butterfly Threads: Have you seen this? I have a post over on the Craftsy blog about the whole pickle dish versus wedding ring pattern conundrum. Any thoughts or feedback would be welcome. 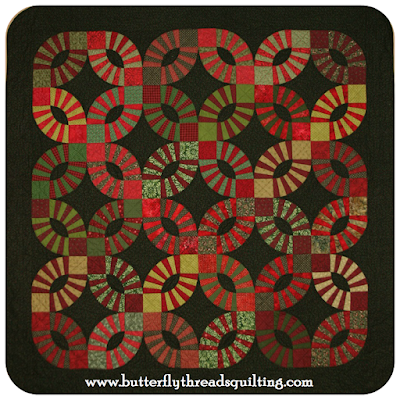 You just reminded me that Pickle Dish is on my quilting bucket list! Well...I think you are going to be surprised but I didn't know the Pickle Dish !! I have made a wedding ring and after reading your post on craftsy, I think the difference is in the width of the pieced arcs. Thank you for these informations ! That was very interesting !! I think of pickle dishes as having points. maybe because pickles add a bit of a sharp flavour?